Hello! 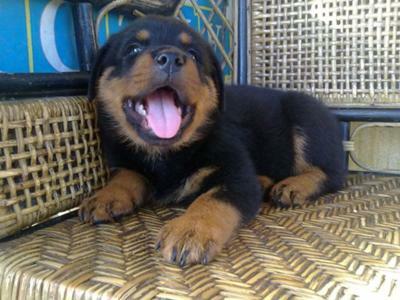 My rott pup is very aggressive. When I free him from the crate to play with, he always runs around biting objects and won't listen to me! To include always biting my feet and hands. 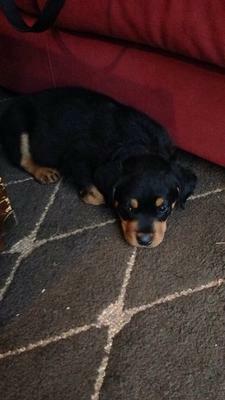 How can I stop this rottweiler puppy aggression? My brother's puppy (about 3 months old) is very aggressive. He barks very loud at you, lunging at you to bite. If you say no he does'nt stop. He jumps up on everybody including small children. I don't trust this dog at all. He growls and shows his teeth when you say no. They let him up on there furniture and if they give him a treat, they can't take it away or he will even try to bite them and growl. The dog is a beautiful puppy with such potential. They have him in obedience classes so he can sit and stay and come but the aggression is not taken care of. Nobody in the family mentions it because they don't want any feelings hurt but in the mean time I have 3 children I am worried about. I have been asked to watch the dog for 2 weeks while they go away and as a dog lover I have said yes. I have a 10 year old german shepherd who is a wonderfully behaved female. I have never had to worry about anything like this with her and she is fine with the pup. The dog is well exercised and has a lot of attention. My 4 and a half month old pup loves other dogs but when it comes to me and my wife he has started to show some aggression towards us. When we take him to the dog park he is good until you pull him away after meeting another dog. He will start biting at his leash and trying to bite us. We had to leave a public setting because of him barking and biting. I'm not sure how to stop this behavior because when you try to stop him he just becomes worse. My 9 week old pit and rottweiler puppy mix is really aggressive. He snapped and drew blood on me. Then when my mom corrected him he ripped her hand open. Any and all tips will be helpful. I have a 2 month old Rot/mast and pitbull mix puppy and she is VERY nibbly but only with people she knows well. I give her her toy when she mouths me, but she drops it and comes back to me as though she prefers my fingers. My boyfriend and I got a rott puppy almost two weeks ago from a shady area in Austin. I have tried to bond with this dog but he is very opinionated. If I pick him up and try to kiss his face be growls and snaps at me. If I try to tell him no for peeing in my house he growls against his punishment. He plays well with my boyfriend and 7 year old lab but won't take any instruction and he is barely 8 weeks old. I feel that I do not have the patience to bond or try to train him to be nice. Is this a normal thing for rott pups or does he sound like he has tempormental problems? I want to keep him but he isn't accepting me or surrendering to me at all. I have had labs all my life and they were well behaved and respected me as alpha. This is a whole different story. Our adult daughter brought home a two month old puppy from college that is a mix of Healer, Rottweiler, Lab. she is very loving to our daughter and submissive to my husband but she growls at small children and won't let any one but my daughter pick her up. She has been treated with love and gentleness by myself and the rest of the family yet she is standoffish with us if we try to hold her or even approach her and downright aggressive is we try to pick her up. This morning she messed on the carpet away from the puppy pad, when I went to pick her up and take her outside she bit me and kept trying to bite me until I put her down outside. We have small children in our home frequently and are deeply concerned with their safety. How do we stop this selective aggression? My partner and I have a rotty pup he is 7 months old and gets very aggressive with me he jumps growls and bites. Not nips either full on biting my partner is the dominant one and our pup looks to him as alpha how do I teach our pup that I'm also above him and teach him that he can't bite and be aggressive to me? My rottie is being aggressive !! My 8 weeks rottie is being aggressive when i try to clean him. If i go and touch him under the neck he would go crazy. 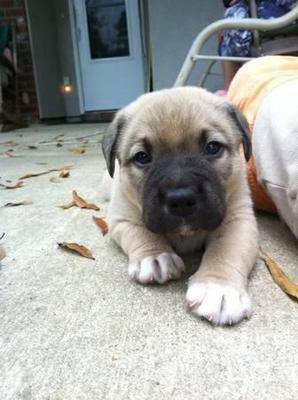 He will growl and bite with an aggressive look and i know because i have had dogs before but never this problem... i guess i got him to early when he was 6 weeks .... please help me ! Every time my puppy gets something in his mouth thats hes not supposed to have when me or my boyfriend go to take it out he gets very aggressive and will bite us hard and snarl, growl, and curl his lip he just gets realllll nasty and hes only 8wks old ontop of that when we correct him when he bites tohard hell either keep doing it or bark and growl at us.. I have a 12 week old Rottweiler puppy and we are having trouble getting him to stop attacking us. He's very sweet but he often goes into these "fits" where he only wants to attack my roommate and I. He cannot be redirected and he does not respond to no or leave it. He growls and bites our arms, legs, necks, feet, whatever he can grab and we often have to detach him. He's really chewed us up and I don't know what to do. He has plenty of toys but he prefers chewing on us. 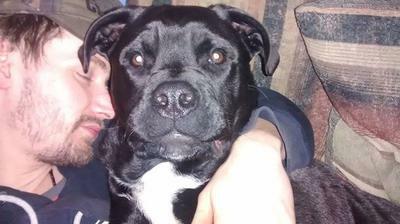 Hello, My name is Amanda and i have a 8 month old putbull/rottie that bites..i find that his "puppy biting" is to aggressive, when he bits hes biting to hurt most times. he only nips my Husband,dose not nip my two young children, but yet if i let him off the door(do to safety of my kids) he is jumping on me and trying to bit. he normally just barks at company for a few minutes, but last night he tired to rip my friends face off.. good thing shes fast and he was on the door.i have tried everything to get him to stop, even "time outs". nothing is seeming to work.. its gotten to the point where we dont know what to do.. any advice would really help.. do to we have had him since 6 weeks old.. and we are really attached to him.. but we dont have a clue what to do.. please help.. what can we do????? Ok so I have 12 week old Australian Sheppard and Rottie Mix. We think that she is Rottie because she has the biggest paws I've ever seen and she has some of the physical attributes of a rottie. We also have a Carolina dog named Sadie. She is super sweet, tender and just wonderful. She is the most submissive dog I have ever seen. Maggie our Aussie Rottie is biting Sadie all the time. If Sadie lays down Maggie attacks her aggressively. Most of the time they get along just perfect. I know that puppy biting is a natural instinct and I have a funny feeling that given the fact that my Sadie Dog (almost 2 yo) is so submissive that Maggie will be the dominant dog in the household. When we discipline Maggie she growls at us and if she has food that isn't hers she bites and growls when it's taken away. If I pick her up to put her outside; she fights me and growls and tries to bite. I have two preschool aged children, yesterday Maggie bit my oldest and drew blood. Upon going to discipline her my youngest, walked up near her and she lashed out at him, biting his hand and making him cry. I quickly corrected her with a tap to the nose and put her outside. Also when I try to command her to come or go she will turn her head away and ignore me as if she doesn't care to listen. Sometimes she will look right through me as if I am not there at all. I didn't have to train so hard with my Sadie girl and my husband is afraid that since Maggie will be a big girl, that maybe it's best to give her up to someone more qualified for the breed. I think she would be a good family companion, but I don't know where to start in making sure she knows that she doesn't get to rule the roost. Any suggestions welcomed. Our 13week old rott pup is great with us an our kids but when she is pinned down or the kids or us wanna lay on her use her as a pillow or love her she growls an sometimes bits at us. She will sometimes do this when we pick her up also. Is there anything we can do? She is very smart an listens well this ois our only issue with her other then that she has great temperament. I need help with my 7 month old blue heeler rotti mix puppy. we can't take him anywhere including walks without him barking at every person we pass and lunging at every dog we pass. it is to the point where I am scared he will bite another dog. I've took him to training and he's been kicked out for the safety of the other dogs. I need help and don't know what else I am supposed to do!! Our 11 month old rottweiler started growling about a month or 2 ago when getting close to his face with ours. We tried correcting his behavior by showing him it was not okay and show dominance over him. Then he started growling at times to get pet or as it seemed, playfully. Tonight he growled and barked when trying to take his bone away. We tried telling him no. Taking his bone. Getting him to sit give paws then give it back to him and praise him but he did it again so we did the same a second time. Doesn't seem to be helping. We are concerned as we have an 8 month old at home which he adores. We just want to correct his behavior as soon as possible as we wouldn't want it to happen when she is around or to her. Any advice? Thanks! I have a 2 month old husky/rottweiler mix puppy and she has been getting too aggressive when biting. I have tried to tap her on the nose but she bites harder and starts growling. I've done the redirection thing where you wave a toy in front of their face but she just continues to attack. I need this to stop. I live with two kids and this morning, she nipped one of them too hard. How do I get this aggression to stop? Our puppy randomly attacks certain people. He does not break the skin yet but is definitely beginning to intimidate people. How do I stop him biting? Otherwise he is pretty well trained. My rottiweiler (male) is only around 12-14 weeks old, and in the afternoon/early to late evening he gets super super super hyperactive. It's currently summer where I am and the days are absolutely boiling, so he obviously is trying to get rid of pent up energy from the day, but I have found he still gets really hypo around this time even when he has played a lot during the day. I'm a 22 year old girl and I am the one in the family around him most, especially at this time of the day. He will come up and run at me; growl, bark and then continue to bite me. I always give him a little shuv and say NO! , but he comes back again and again. When I look into his eyes he never ever gives in. I am a bit intimidated by him when he gets like this and I know I have to change that, but I just can't seem to stand my ground no matter what. I redirect his attention away with chew toys and stuff but it keeps happening. He runs infront of me so as to block me, and he seems really agreesive to me and it doesn't feel like his playing. I know I am probably a big problem in this as I am not standing my ground with him but it's harder said than done for me (I have a soft personality). I just don't want him to grow up and do it becaus he is going to be a BIG BIG boy. My rottie shows aggression while eating food and when it eating stones if I asked or touched growling becomes biting help me to get rid of this. My mix puppy is six months now I've trained her to a "t" she knows variating commands and a few tricks but I can not figure out for the life of me why she's so aggressive towards people she was socialized well as a baby but now that she turned six months old she will not let anyone near me I've tried shaking people's hands to let her know it's okay but she gets in between my legs and starts barking I've tried correcting this with no luck. I love my dog and just want her to be a happy puppy her brother is my boyfriends dog and he loves everyone, I've also walked my puppies together and sperate and even with my other dogs and she still doesn't trust me people. I got a Rottweiler/blue heeler cross as a service dog and am training her myself, but lately she has become aggressive when outside and tries to bite my ankles or heels and I'm concerned she will bite myself or someone else. I've tried to take her for walks, but she does not do well on the leash, so I take her outside in the back yard but as it is winter, anything that I throw she can't find because the snow is so deep. I don't like yelling at her, but when she doesn't listen, I feel that is my only option and really want to curb this aggressive behavior from her. She is now 17 weeks old and I don't want to get rid of her but I'm at my whits end when it comes to biting and growling from her. I take her out every couple of hours and she still insists on growling and trying to bite my ankles or heels and I know she is part heeler, but this is getting scary for me as I have severe PTSD and I got her to help with it, not make it worse. Can someone please help me with what to do so I don't have to be scared of my own dog? My son brought home a Rottweiler puppy an we love him. The only issue he has is he is very aggressive when he has something he really wants an we try to take it from him he will bite us. My question is what is the correct way to correct this situation before he gets much bigger. He's not aggressive with his puppy food at all. We can put our hands in his dish when he's eating. Ease give us a direction to go in.